On the week after Trinity Sunday, and as part of the St Pauls Cathedral Forum, Ian Mobsby unpacks the theme of the Trinity as the hope of humanity. In this presentation, Ian Mobsby explores a central theme of his new book ‘God Unknown: The Trinity in contemporary Spirituality and Mission’. The Holy Trinity is the central reality and concept that makes Christianity a distinct faith and not a jewish cult. As such God is a missionary God that challenges the Church and all Christians to participate in this mission and ministry of reconciliation, as God seeks to restore all things into renewed relationship with the divine. In our increasingly post-secular context where people are more interested in spirituality than religion, it is the reality of the Trinity that gives us hope and opens up the spiritual landscape of the faith to those who are un-or-dechurched. In this more reflective podcast, Ian Mobsby leads a time of lectio divina on the words of Jesus around praying the Lord’s prayer followed by a reflection and a short homily. This podcast enables you the listener to actively stop, listen and respond to the words of Jesus, a meditation and homily on why we should pray in times of trial. This podcast was recorded at the Moot Community Eucharist, in the Guild Church of St Mary Aldermary in the City of London on Sunday 16th October 2011. 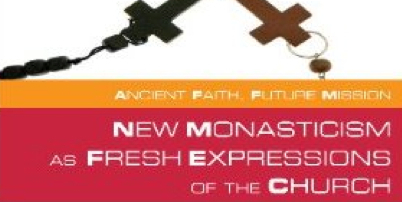 In December 2010, the long awaited second book in the series Ancient Faith Future Mission is published in the UK by Canterbury Press on the whole area of New Monasticism and Fresh Expressions of Church.This book will have chapters from Shane Claiborne, Tessa Holland, Graham Cray, Andy Freeman, Diane Kershaw, Ian Mobsby, Ray Simpson, Ian Adams, Tom Sine, Philip Roderick, Mark Berry and Abbot Stuart Burns. The Moot Community is offering a spiritual retreat for up to 12 people, at Summerdown farm on the Malshanger Estate near Basingstoke. The weekend will provide quiet time for personal reflection, prayer and exploration. Mark Berry, a Pioneer Minister from Telford, and Ian Mobsby will lead the retreat jointly, and the focus will be on the Trinitarian basis to faith, and the Christian call to participate in God – both individually and as a community. Attendance is reserved for those attending or involved in the Community and for registered Friends of Moot. Attendees are welcome to arrive from 5pm on Friday, with the first reflection and prayer beginning in the evening. The weekend will finish after lunch on the Sunday. Please click on the link for the registration page, or click the eventbrite link on the right hand side of this blog. For more information please contact Ian or James.